Medium. Not too big. Not too small. Juuust right, eh Goldilocks? But then you realize that you could use a little more room for a your gloves or whatever. Luckily, this bag expands for those times when you learn you aren’t as minimalist as you thought. 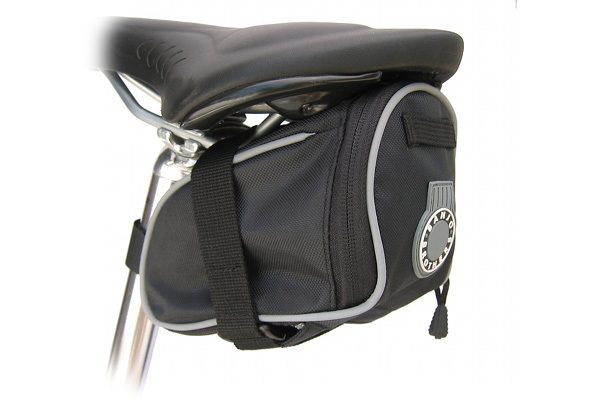 Holds a full complement of mountain bike tubes, tools, or wallet and snacks, etc. Looking for a biggish medium, and some extra frills? Go for the Banjo Brothers Deluxe Medium Seat Bag.